Sequentia’s research into trichomes started with Luis, the principal investigator, and his postdoc (2012-2014) on trichome formation in different plants and their possible applications, including Artemisia annua, at Dr. Soraya Pelaz group in the Centre for Research in AgriGenomics (CRAG). He decided to apply for, and won, the Torres Quevedo grant by MINECO (Ministry of Economy, Industry and Competitiveness) with the aim of trying to optimize this medicinal plant using different biotechnology techniques. After three years of hard-work trying different methods, laboratory and controlled-greenhouse experiments finally gave very positive results. 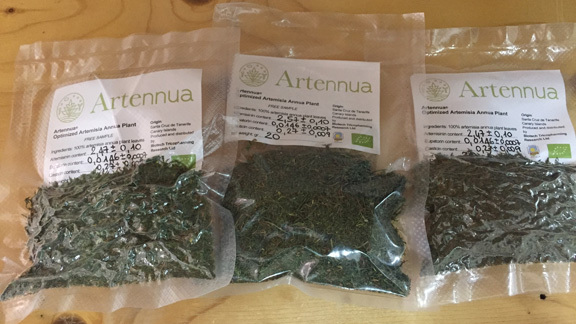 Luis was able to produce twice the artemisinin concentration in Artemisia annua leaves, as well as increasing the foliar or ‘leaf” biomass three times, all in all increasing the production of artemisinin six-fold. 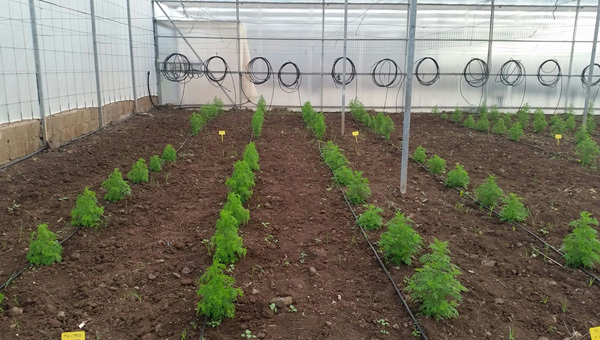 At the same time, he was able to accelerate the growth of Artemisia annua to just over 2 months instead of its usual 8 months, meaning that the production was increased five times annually. Based on these results, in 2016 we applied for and won the prestigious Neotec fund by CDTI (Centre for the Development of Industrial Technology), which co-finances the pilot production of our optimized Artemisia annua in the field through to the development of the final product. Currently we are in the Prototype-Product stage of Artennua, carrying out pilot production of the optimized plant in the field. 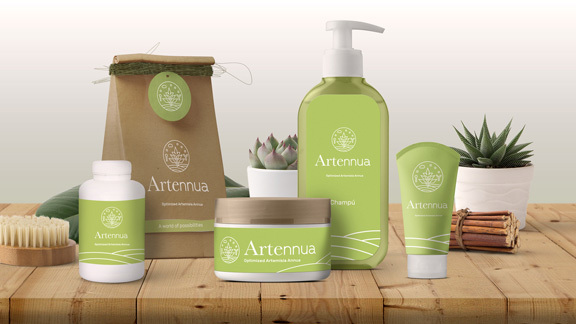 Our research revealed Tenerife as an optimal location to use our technology and cultivate Artennua. In 2017, we established a collaboration with the Instituto Canario de Investigaciones Agrarias (ICIA) to start pilot production tests in two different microclimates of the island. In May, we expect to begin pilot production of the optimized cultivate over 1 hectare of the most appropriate microclimate. In summer we will have the first Artennua harvests and by the end of this year the final product in the form of dry, lyophilized leaves. We will also start scouting other potential formats of interest. Our 1-hectare agrofarm is situated in the north of the island of Tenerife, in Pico, Tejina, an ideal location for starting our small-scale production. For 3 months, starting June 2018, the farm has had to be renovated and prepared to meet current standards and develop the required infrastructure for the cultivation, harvest, post-harvest and transformation to product of Artennua. The different analyses to assess product quality have been subcontracted to the SEGAI, which provides research support to Universidad de la Laguna. The first beta tests are currently taking place by different European companies from the nutraceutical, animal health and natural cosmetics sectors. Large-scale production of Artennua will begin in 2019. By the end of 2019 we have predicted that we will produce 12 tonnes of dry leaves per hectare and increase this amount in subsequent years as we plan to significantly expand the cultivation area. We will perform quality control standards with the all the various formats to measure the content of any secondary metabolites that could be of potential interest.